A Rite from the Stars is an adventure whose development has laid the foundations of Risin' Goat's philosophy: to offer products that are inspired by the best references in the sector, but always including innovative and differentiating elements. In this project, we have focused on music and narrative. In the last four years, we have gone through a Kickstarter campaign, a Greenlight campaign, won several awards, signed a distribution contract with Razer and reached a publishing agreement with Phoenix Online. A Rite from the Stars is a 3D point & click adventure game set in a paradisiacal yet dangerous environment… The Mystical Island of Kaikala. There, a mute kid from the Makoa Tribe by the name of Kirm, must overcome a rite of passage to leave his childhood behind. However, this will not be easy, as he has been chosen by the Stars to become a legend among his peers. Wisdom is, of course, about the mind and will be mentored by Ailani, the Chief. Kirm will have to think sharp to go through the Yesterday Temple and avoid all its traps. 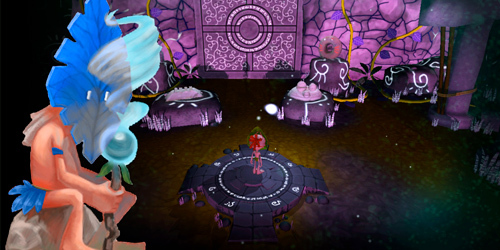 During this path, Kirm will pick up items and carry them within each temple room to unveil the mystery of every ancient mechanism. However, there are no inventories in A Rite from the Stars, so he will only be able to carry one at a time. Courage is about the will and will be mentored by Kekoa, the First Hunter. 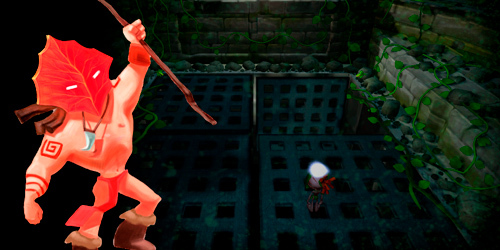 Kirm will have to get deep into Kaikala’s jungle to reach The Beast’s Cave, where his destiny awaits. However, he will not be alone in this path. Every Makoa has a deep bond with an animal from the island. A meerkat called Mirk will be Kirm’s Power Animal, sharing his very soul. 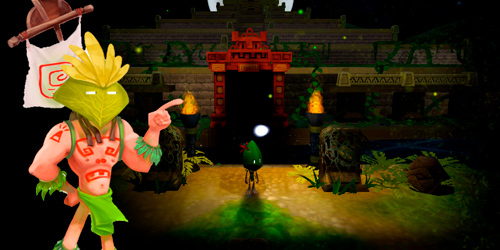 The player will be able to control both characters at the same time, but he must be careful because their bond is so deep that the death of one means the death of the other. Spirit is about the soul and its unknown ways; it will be mentored by Waha Nui, the Shaman. Kirm will be trained to enter the Spirit World, a twisted version of reality, where physical and logical laws are not the same. By using this skill, the whole world will change: rocks may start talking, even singing, and every corner can hide a danger. 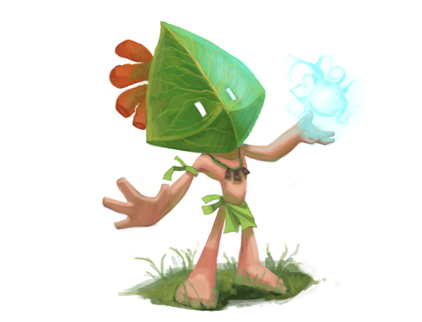 He will have to use this ability to reach the highest place on the Island: The Volcano´s Crater. Once there, he will must seek a revelation from the heavens.